Elizabeth “Chai” Vasarhelyi and Jimmy Chin, “Free Solo” co-directors/producers, on scene in Yosemite, California. The film is soaring on screen and at the box office. Photo: Courtesy of National Geographic. Upon meeting the documentary filmmaker Elizabeth “Chai” Vasarhelyi at an ideas conference, Jimmy Chin ventured to send her his footage of a failure and then first ascent of the Shark’s Fin on Mount Meru, Garhwal Himalaya. For three months he heard nada, and concluded that Vasarhelyi liked neither him nor his film. It was 2012. Vasarhelyi, 39, of Manhattan, had been making her third film about Senegal: “Incorruptible” tracked the contentious elections of 2012, when the president bid for a third term in opposition to a constitutional two-term limit. 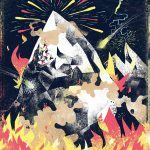 “Meru” was about risk and high stakes in alpine climbing; Vasarhelyi’s endeavor was out there, too, occurring in a time of violence. She wore a helmet and a flak jacket, and was tear-gassed about 30 times. Returning home, Vasarhelyi viewed the footage sent by Chin of his, Conrad Anker’s and Renan Ozturk’s expeditions to the 21,000-foot Meru in 2008 and 2011. 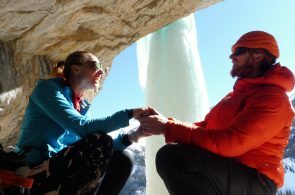 She saw feature potential, and is credited with restructuring “Meru” and adding the greater context of the emotional lives of the principals and their loved ones, and making climbing culture comprehensible to non-climbers. The process involved extensive interviews, with no guarantees. She evolved from a consultant to co-director with Chin: “It was kind of, What do you want to do with the movie, [and] evolved into, Let’s just do it.” The two began a relationship and, in 2013, they married. 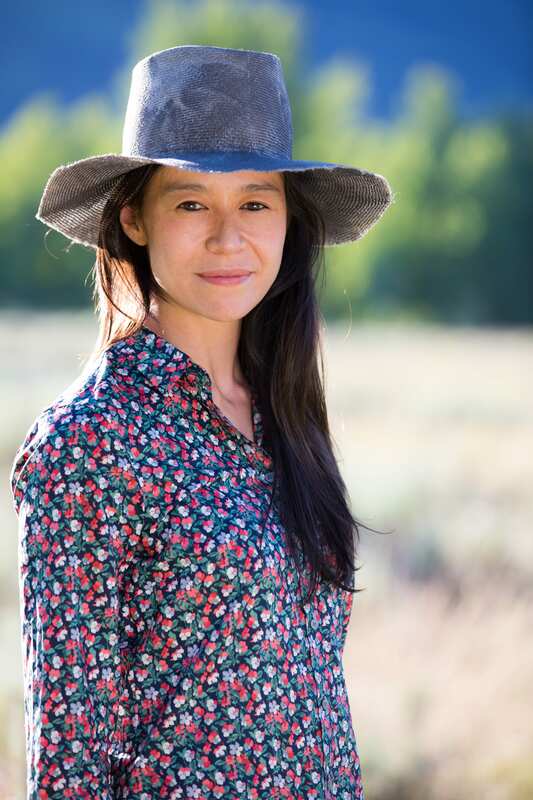 She also laughs at a reference to a scene in the film where Chin, an adventurer living in Jackson, Wyoming, takes in his sister and her small children to live with him. Anker is central to the film, mentor to Chin and himself mentee of Mugs Stump, who died on Denali in 1992 and had dreamed of Meru. Anker is acutely aware of consequence, having been present for the death in an avalanche of his best friend, Alex Lowe, on Shishapangma. He later married Alex’s widow, Jennifer Lowe-Anker, and adopted their three sons. Jimmy Chin and Chai Vasarhelyi cliffside in Yosemite while making “Free Solo,” on Alex Honnold’s journey to solo El Capitan. The film, she says, shows “the craft that Alex brings to what he does, the craft that Jimmy brought, the craft the crew brought. The commitment.” Photo: National Geographic/Jimmy Chin Productions. 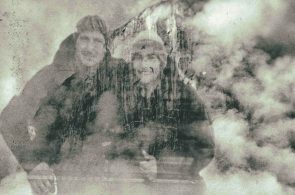 She had to decide when in the film to reveal the back stories that composed the climbers’ lives, or their inner thoughts while still in the mountains. 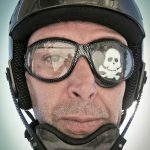 Ozturk, having incurred a serious spinal and head injury in a fall skiing and filming in Jackson on March 28, 2011, created another grave dimension, while Chin had been swept 2,000 feet in avalanche April 1 as he skied and filmed near Jackson. The trio summited Meru on October 2. “Meru” went on to win the 2015 Sundance Audience Award and was short listed (from 124 films to a cut of 15, of which five were nominated) for an Academy Award for Best Documentary Feature. Clair Popkin frames up the shot in one of many van-home scenes in Yosemite Valley. Photo: National Geographic/Jimmy Chin. “That was Chai,” he says in the RI interview. “This film really represents our two strengths. Both of us agree that neither one of us alone could have made this film. She was much more invested and interested in the character study and the cinema vérité part of the film. “Vérité filmmaking for documentary filmmaking is the bar where you’re capturing the moment in real time. … [Y]ou have to sit and shoot endlessly. We shot 700 hours of footage. So what you’re seeing are these gems. When you know that Alex is going to try to solo El Cap [the next day] and Sanni [McCandless, his romantic partner] doesn’t …” No scenes were re-enacted. Getting the candid moments, he says in RI, “comes from sitting with them. It’s a craft.” He further says he does not think he would have gotten the moments that she did. His strength was always going to be in moving a team and determining how to shoot the action high on El Cap: “I wanted it to feel big and cinematic.” He is also, from years of expeditioning, adept at assembling an effective team. “Free Solo” registered the best opening theater average of any documentary, ahead of An Inconvenient Truth in 2006. The Academy Award shortlist will be announced December 17. Vasarheyli grew up in New York City, biracial daughter of immigrant parents from Hong Kong and Hungary, with extended family in Hong Kong and Rio de Janeiro; she speaks French, Portuguese and Chinese. She graduated from Princeton University, where she majored in comparative literature and for her senior thesis made the film, “A Normal Life,” about seven young people and their lives following the war in Kosovo. “A Normal Life” was accepted into the Tribeca Film Festival and won Best Documentary. She was 24. 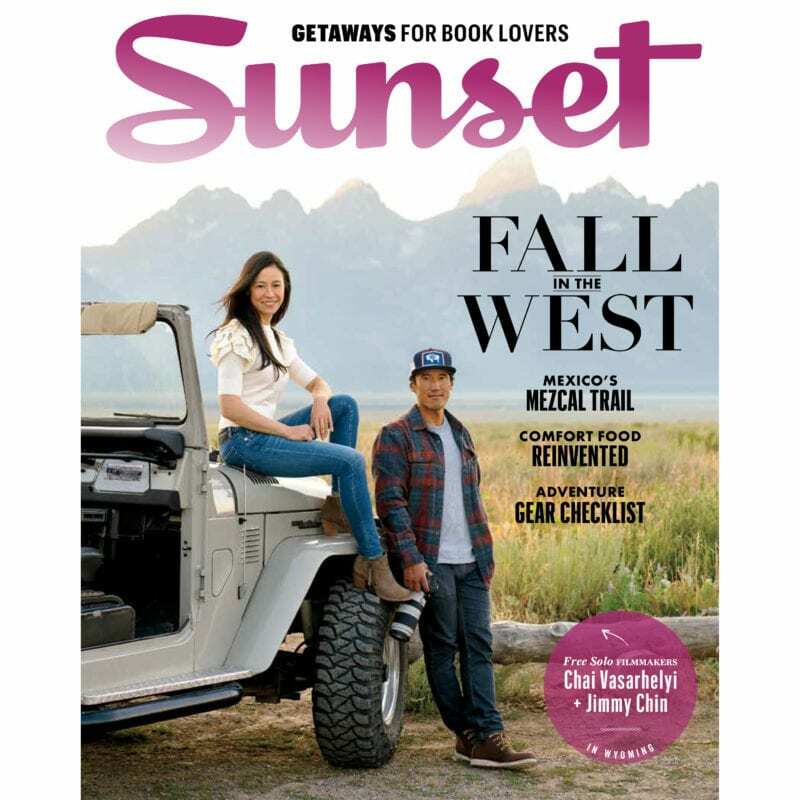 She still lives in Manhattan, and Chin lives both there and in Jackson, Wyoming, where they were married. She calls herself a non climber, but has skied since age 4; in fact, her father took her and her brother skiing in Jackson. She can drop into the famous chute of Corbet’s Couloir (named for the climber and skier Barry Corbet). 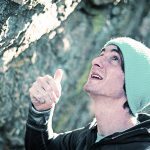 Says Alex Honnold, who has praised her on his Facebook as a “powerhouse”: “Chai certainly put in the time and effort to make ‘Free Solo’ a great film. She worked hard on the edit for a full year, and maybe more since I think they were editing while we were still shooting, and tried every different idea to make sure that it was the strongest film possible. The wages of being celebrated: a photo shoot and cover for the national Sunset magazine. All principals involved in the film have been keeping a mad pace lately. Vasarhelyi took a phone interview as she touched down for a few days in New York between screenings in California and an opener in Amsterdam. I have a son in finance in New York City. He saw the film and now wants to chuck it all and live in a van like Alex. I asked him what question he’d ask you, and he wanted to know what the film crew felt about Alex’s mental state as he grappled with this whole thing. It think you see it in the film. It wasn’t really the crew’s job to monitor his mental state, right? It was more whatever they may be feeling or we may be feeling was not supposed to be reflected onto Alex in any way, because it’s a very intimate thing filming someone doing what he’s doing or training for what he’s doing. The cameraman who can’t watch in the movie, Mikey [Schaefer], is on the Valley floor because he actually hurt himself, not working with us but skiing with his girlfriend, but for the most part he was always the one who filmed Alex while he trained. And Mikey knows the route the best, because he’s climbed it so any times, so he would also give Alex feedback on what he saw him doing. Like, “That thumb looked a little funny” or, “That looked pretty good today, don’t you think?” They would have that banter. But in terms of Alex’s mental state, that’s a more delicate thing where everyone wanted to be like, Please don’t do this, um, we love you [laughs], but that’s who you are and why you’re here. What are the psychological issues that you have to work through? But it was more about getting to know him. In the vérité stuff, in my conversations with him, I would ask him questions about his past and how his feelings are. With the crew, we were very explicit about creating this line in some way where their own concerns wouldn’t reflect on him. We were trying to be very, very mindful as [to] Alex’s concerns. So when he got hurt [injuring his back in an unexpected fall while climbing with McCandless, an inexperienced climber and belayer; he also falls once low on the route during a practice run], he got hurt. We felt the time ticking down, that the season was going to change. 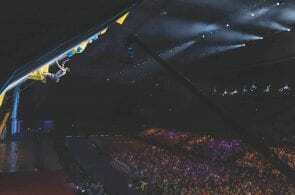 It didn’t matter to us, but we could feel that it was an issue for him, and then when it eventually became time [to attempt the solo], the overwhelming feeling on everyone’s side was, Oh, he’s 100 percent ready. He had prepared all winter and he had prepared all year, and you knew that he was so, so prepared and had learned valuable lessons from the fall that he had clearly internalized. When he [attempted to solo El Cap and] and turned around … his takeaway was, I need to be better prepared. I need to be ready to do this with a stadium of people watching me. And I think that he did that. Way, way up there: Alex Honnold high in the sky on Freerider (5.13a) in Yosemite Valley. Photo: National Geographic/Jimmy Chin. It is a great and intense scene when he comes down from the first real attempt and talks to Peter Croft, and says, “I just need it to be over.” You feel for him. A hundred percent, and you should … These are very painful things to film, but it’s our job. It’s one of those moments where you just want to give the guy a hug, and you’re like, Actually he’s gotta work through this. Honnold has said sometimes it was tiring to be climbing all day and then come in and have a fresh crew to film as he ate his dinner or something. Did he ever say, I’m too tired to talk? Did he sometimes find it a chore, and did he sometimes find it cathartic? I think it was all of the above. … This is the fundamental trust situation that all of us were all in, where Jimmy and I trusted Alex to make the right decisions, like the day he turned around, and he trusted us to pursue the things that I thought were important. So if it was an important day to talk, we would talk. With any documentary subject, you can warn them a thousand times, and they still don’t fully understand it until they’re in it. But working with him was very gratifying because he trusted me and Jimmy to make the right decisions about what we thought was important. So, sure, I’m sure there are days of, Uh, this is so annoying, or, This is fatiguing, but we were all very careful and conscious, we’d be like, Oh he needs to rest now, or else, if it’s very important, Stay and do it. But I know that as a more experienced filmmaker now, I’m incredibly judicious about what I film … So I think when he expresses it that way, you are like, Oh, that’s a lot, but it’s actually not that much, but it was all the very intense moments. Like those conversations with Sanni [who asks if he considers her feelings in his calculations]. On one hand, you’d think no one would want someone else to be there, but I do think in this other way, we really facilitated it, we made it easier. Because it had to be spoken about because we’re there, it’s your job, you do this for years with someone. They trust you, they know you. When they look at the camera, they look at you, not so much the camera. Was there any cathartic aspect that you were aware of? Alex is a low-key person, but he sometimes really talks, he has a lot to say. He has a lot to say, and he is just so genuinely intelligent and intellectually curious. One of these wonderful things about Alex as a subject is you ask a question, and it’s gonna stay around for days because he’ll come back to it. And he knows that I think that way, too, and he knows that I’ll notice it. That’s a question for Alex, if was cathartic or not. Like I would like to think that we are experienced enough and gentle enough and intelligent enough that the way we approached it … It is interesting to talk about things that are personal to you, and he clearly was someone who was always very uncomfortable talking about that, but he had this year and a half of talking about himself [laughs], so maybe that was helpful, helps you digest something. After you made “A Normal Life,” and it won at Tribeca, the brilliant director Mike Nichols [1931-2014] invited you to come to work on the feature film “Closer.” What was that experience like? Oh, that’s a great story. I had won Tribeca and three days later was still glowing. I was at a book party for Betsy Blair’s book about her life. She was married to Gene Kelly, and she had written this most wonderful book. Lillian Ross of The New Yorker was there. Someone introduced me to Mike … and Mike and I began talking, and Lillian Ross wrote about it … and she got every fact wrong. It was so funny. The facts were just wrong: our ages and small, tiny things about what we spoke about … It was a very gentle conversation about “Let’s let Lillian Ross know what we actually talked about” because it had come to his attention through a fact checker, same way it had come to mine. It was a really, really special experience. Mainly because it’s Mike, and he is amazing and a genius and one of the funniest, smartest humans I ever met. And while he is so funny he is also incredibly straight, honest, sincere, etc, to the point … He was a wonderful teacher, more like a grandpa. … And we were in England, and there were only four people in the movie, and so it was this very intimate situation. He’d say, “Let’s go to the theater,” and we would, with like Natalie Portman. When I finished the Youssou N’Dour movie, Mike presented it, goes to the premiere. When I wanted to get into film festivals, he’d say, “Let’s go show it together.” He was just a really, really wonderful mentor to me. It is such an intimate film. Did it influence your approach going forward? It influenced it in that I went through a lesson in film and what Mike likes to watch. He’d say, “Why don’t you watch this now?” … It is a very intimate film, but that was probably coincidence. But yes, it was a very strong experience for me. Most of Mike’s work is pretty intimate and pretty raw emotionally and structured immaculately. Probably the most influential part was watching him talk to Patrick Marber and working with Patrick Marber, who wrote the play and the script, and seeing his rehearsals. … I was there from the first read-through …. Through the real walk-throughs and actually shooting it. So [I was] watching that process up front and close. I directed theater in college, so I was a theater buff, too. 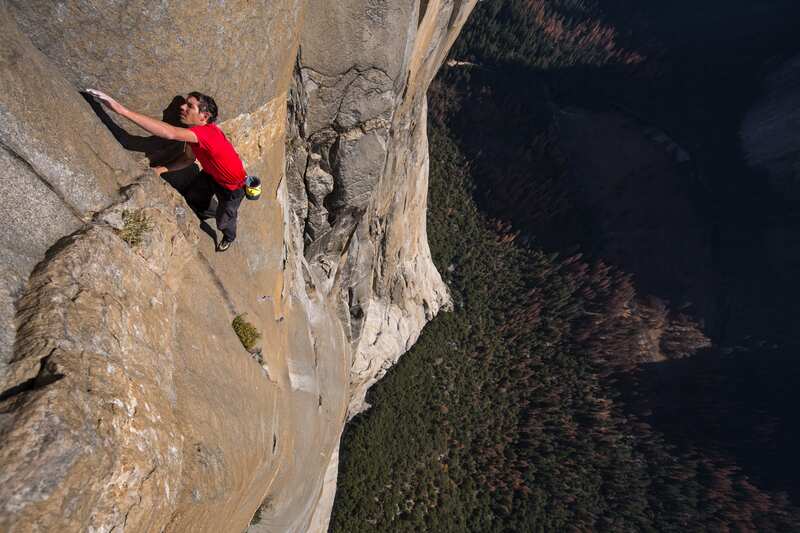 What did your previous films bring to “Free Solo”? Every single film I’ve ever made was compelled by something that was very personal. It struck me at 20 that [film] was one of the most powerful ways of creating empathy with someone who is different, who would maybe not have the opportunity to be in the frame. … And because of who I was, I was always very acutely aware of what were those differences, who were those different people. I was different, I was biracial in a time when not many people were. I couldn’t understand the kind of religious persecution that my parents’ families experienced, and coming to America. The idea that [my parents] married each other was so against what they were running from, was so in the face of what they were running from. … I was acutely aware of difference, and I had the privilege of traveling a lot as a kid, because my dad was a professor. So, every film [has been such, starting with] my Kosovo film, which is about genocide, it’s still happening in the center of Europe, years after the Dayton Accord, and these people are just like us … Here is a contemporary look at what happens after war. You’ve spent your entire life waiting for war—what happens next? And it’s important that people hear [the characters’] story, because what is their future? I think a lot of the perception around the war in Kosovo was of people in babushkas, who are illiterate, and that is not what this place is about. “Youssou” was about post 9/11, and my best friend [Catherine “Cat” MacRae, fellow student at both the Brearley School and Princeton] died in 9/11. It is about what he did, it was incredibly brave, about courage in the face of religious persecution, where essentially he said, Let’s celebrate Islam, because all of Islam is not what you are seeing in the news. He created this incredible album that celebrates the peaceful, true side of Islam, and then he was accused of blasphemy at home …. So the film takes this whole twist, and becomes very, very personal. But it was always about courage, and celebrating something you wouldn’t see is important to the dialogue. … Putting his story in the frame, getting it in front of people, is important because it will change how we look at things. Same thing for “Touba,” it’s like the extension of that. Like, let’s go on this religious pilgrimage and actually be with these people and show people what it’s like, it’s a very special form of Islam that is wonderful to look at and people need to know about. “Incorruptible,” same thing. … The oldest democracy in Africa was erupting into violence because the president wanted to change the constitution, which is very, very prescient now. The more that happens, the more I’m like, Oh, that film was ahead of its time. Meru was about this incredible story. One, I had fallen in love with Jimmy, and it became again a personal thing, like, What is the best way for him to be able to articulate this story? … This is what I do, it’s what I’ve been doing for 15 years. I can help do this. I just was incredibly moved by the friendship in that story. 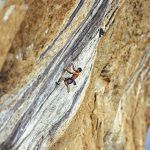 Alex [Honnold, in “Free Solo”] was about courage. … Here was a kid who was so scared of everything, he began climbing without ropes because he was scared to speak to another person. I get it. I feel it. Jimmy felt that. We all have something like that in our lives, and he had the courage to move through this methodically, and learn how to hug, how to eat vegetables, how to talk to other people. The idea that he had the vision to do that, he wanted to connect, I always thought was very moving. You hope that a film you make touches people. You never know. You make your film. We’ve been so moved by the outpouring of young people who say that Alex’s story gives them courage to address the obstacles in their lives. That the impossible somehow becomes possible, that it’s possible to have agency, to change things. We’re making “Along the Way,” a film about Kristine Tompkins and Tompkins Conservation. [Note: Kristine McDivitt Tompkins, former CEO of Patagonia, Inc., is widow of the conservationist Doug Tompkins and with him had preserved vast areas of Argentina and Chile. Doug died in a kayaking accident in 2015 despite heroic rescue efforts.] It’s very much in line … It’s very nice to see this incredible crew now showcase a female protagonist. Kris is just the most inspiring person on earth, her story and the strength she has shown, and what she did with Doug and Yvon [Chouinard] is very, very powerful. It’s about this radical way they lived. They were going to put everything into it, and that mattered.